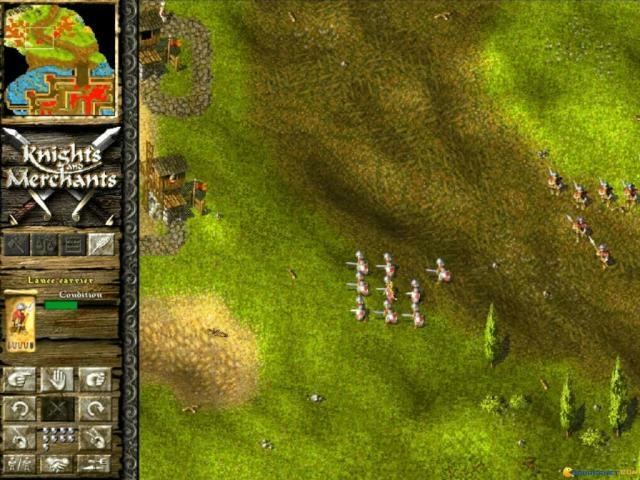 As its name suggests, this is another historical real-time strategy game, this time offering gamers the chance to experience life in the Anglo-Saxon period as a palace guard captain with an important mission. 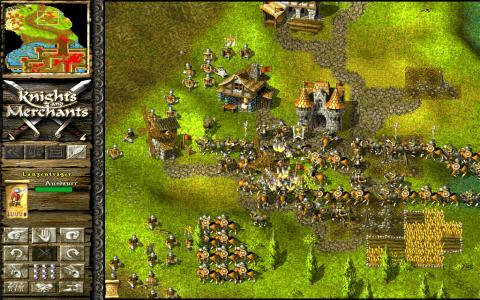 Story-wise, the main campaign mode sees players taking on 14 missions as the captain, as he attempts to win back provinces lost by his king, although in terms of actual narrative, things are rather thin. 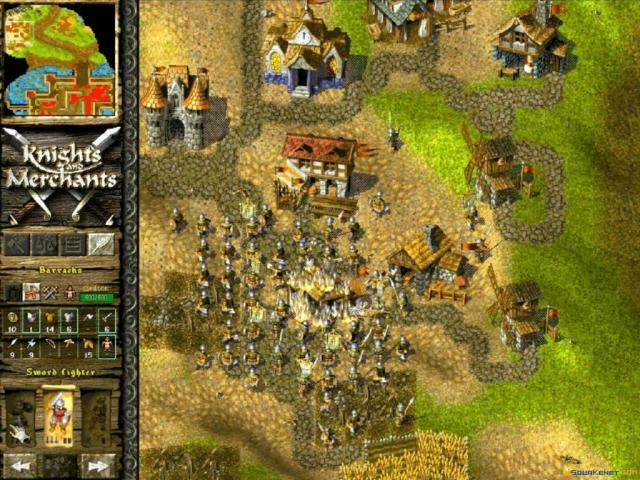 This is done in typical fashion, by developing a working economy of citizens, soldiers and buildings which can be used to create your army and associated weapons. 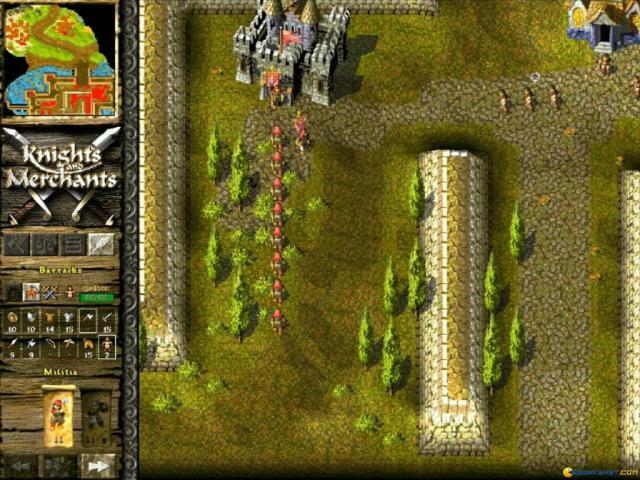 Once your army starts to develop, battle can entered, which in theory should be the most fun part of the game but which due to a number of flaws, is somewhat less enjoyable. 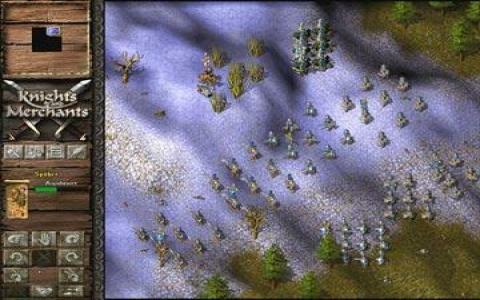 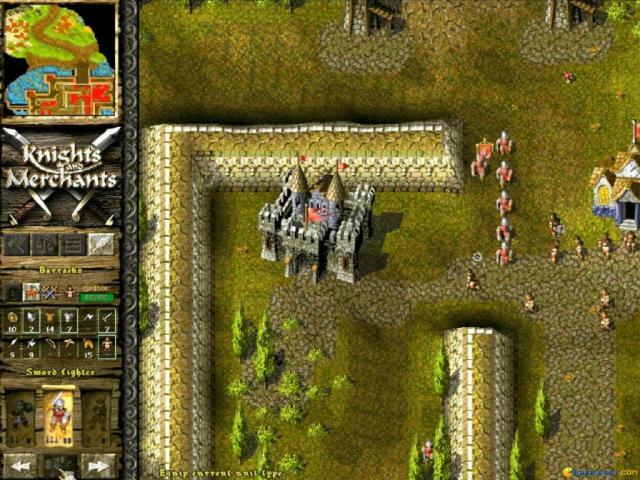 While there are a good number of troop types, including siege weapons, the control system is tricky to get the hang of, while there is also a huge imbalance with the game's AI, rendering battles more of a challenge than they ought to be. 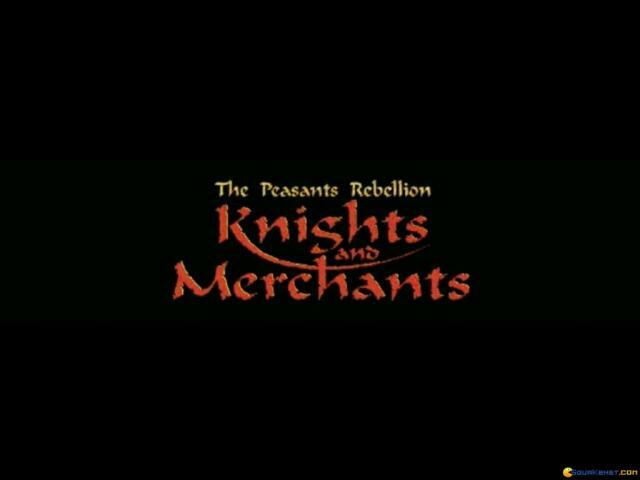 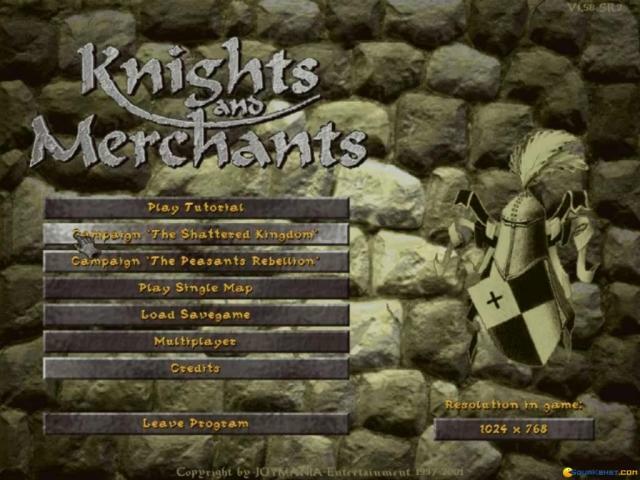 Graphically Knights and Merchants is rather outdated but retains a certain charm while music and sound effects are spot on and add much to the atmosphere. 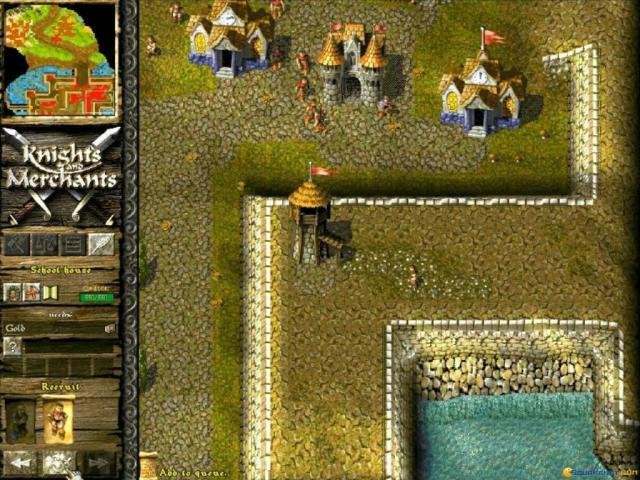 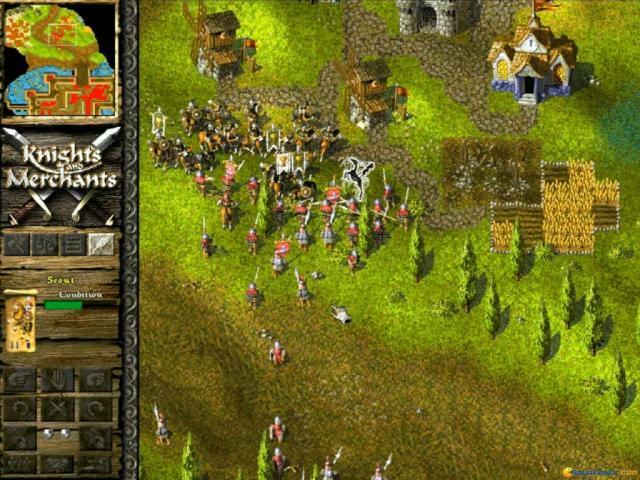 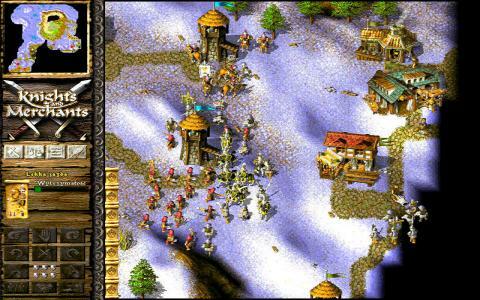 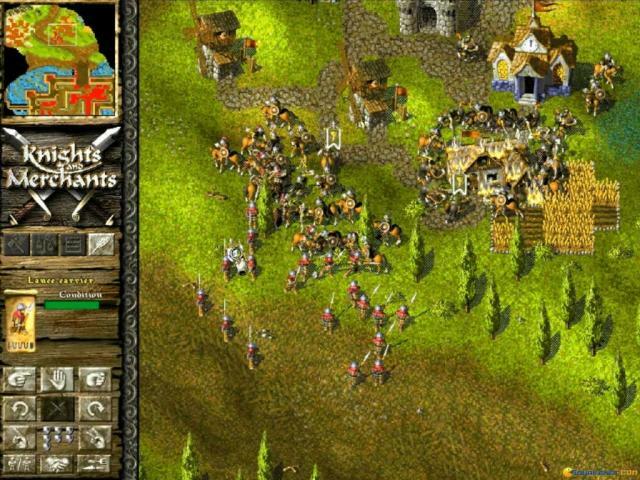 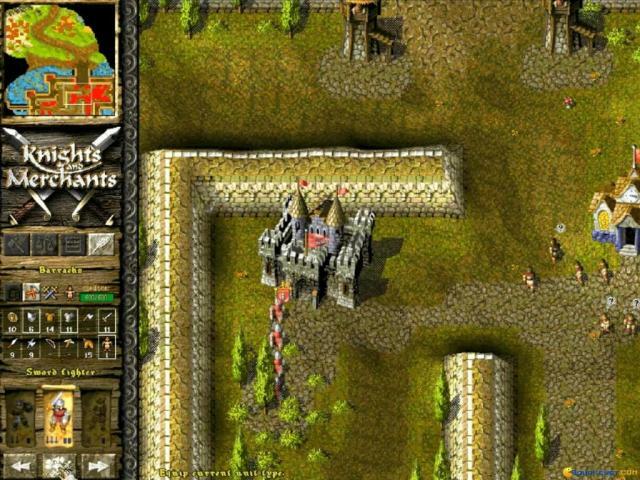 Knights and Merchants certainly isn't bad, and there is plenty to keep you occupied, but it is lacking in polish when compared to the classics of the genre like the Total War series. 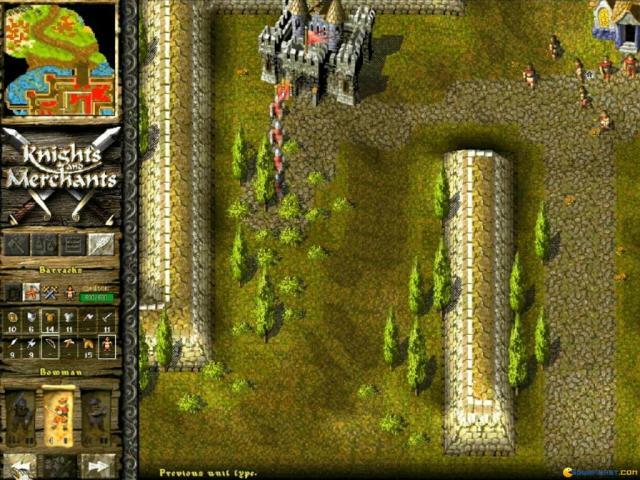 Gamers new to the genre might want to check out those before trying out this one, but veterans may find some amusement here.